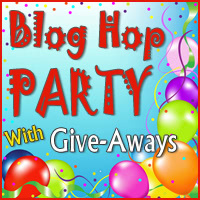 Visit the more hundreds of quilting blogs participating in the Quilter’s Blog Hop Party. You can register on each blog for their giveaway. AND a spool of my favorite Madeira Rayon Thread in RED. This is my way of saying thank you for a great year of blogging and for an even better year in 2013. Comments close on December 17, ( I’ll be headed to Florida for Christmas soon after that) I will draw one lucky winners name from the group. I will ship out your prize on December 18th, you might even have time to make one of the Wall hangings and get it on the wall by the 25th for that special day or to give as a gift!! I hope you will tell your friends about the hop and all you new readers I hope you will take a moment to go to the top of this post and click the “Join this site” button. Yes, I would work on the wall hanging before Christmas!!! I did not make any resolutions, non to not keep but I did stay on my diet. That is a really good thing!!!! I’m going to try to make some SMALLER quilting projects, instead of those large quilts that took up all of my time last year. Looks like a fun assortment! Would enjoy trying the pattern and using the hand dyes! I made a resolution to clean my sewing room after each project was completed, and I really wish that one had worked out better. My last year’s resolution was to make my borders more interesting, not just sew on plain fabric – for the most part I have done this – pieced borders, extending the pattern into the border and so on. My resolution was to focus on stitch work this year, and I signed up for CQJP 2012, and TAST to keep me on track. So far, so good! Thanks for the opportunity to win some goodies! I’ve been good! Merry Christmas to all! I never seriously make any resolutions because I never keep them! If I did keep one it would be to go to the gym no less than twice a week! Thanks for the opportunity to win! I’ve never been a resolution-maker, so there are none to keep (or fail to keep). But a few years ago, after searching for something in my sewing room, I discovered WAY too many UFO’s, and I resolved to finish some of them before starting a new project. I did finish many of them. But now I think I need to make that resolution again! My resolutions last year were to try and get more exercise and finish some of my UFO’s. I was only moderately successful–so those will be my resolutions again this year! Thanks for the giveaway and have a happy Holiday!! As far as resolutions go, I failed. But there is always next year. One of my resolutions was to enjoy making things in my sewing room. Didn’t start anything fun, but did finish a couple of ufo’s, so perhaps after the holidays I will be able to enjoy creating something new and fun! I love your latest pattern Frieda! I didn’t make any New Years resolutions so I didn’t fail!! I did not make a resolution but wanted to improve my fmq and have worked on it. It wasn’t a resolution, but I think I’ve found a better balance between things I think I should do, and things I want to do. I will spend at least 1 hour each day on patchwork, quilt and my sewing machine. I have not made New Year’s wish before, but now it must be tested. Good trip and Merry Christmas to you and your loved ones – thanks for the great giveaway. I gave up making resolutions ages ago. Have a fabulous time in Florida! I didn’t make a resolution, I did want to spend half an hour sewing at least four days a week. Didn’t make it happen, but I will try again. My resolution was to be more organized, which only lasted about 1 month!! Love the giveaway, thanks. My resolutions this year were to make each of my six grandchildren a bed-size quilt for Christmas, and to learn free motion quilting. I did both, I’m delighted to report! Have not decided on a resolution for 2013 yet. I’m a follower via email. I wish I would have kept my weght down more. After the M word it is hard to lose weight. I actually do not make New Year’s resolutions, I am pretty sure that I would not keep any! I use the excuse that it is my birthday! I look forward to reading your blog, and hope you check mine out for a chance to win there. I didn’t really make any resolutions, but I did want to make a Christmas quilt this year to display in our home. Never happened..maybe next year! I didn’t make any formal resolutions, but was hoping to lose some weight – which I did, but I think it is back again! I didn’t make a resolution but I did accomplish part of a goal. Getting quilts made for family members. I got 2 done. 2 more to go. Love the giveaway. Good Luck to all. I didn’t get as many baby quilts made this year for our church quilt ministry as I had planned to. Thanks for the giveaway! Merry Christmas! I kept my new years resolution to lose weight! Amazing huh?! I’m down almost 25 lbs since I last saw you! Still a ways to go but it’s a great start. Thanks for the generous giveaway. Don’t believe in New Year’s Resolutions so didn’t make any. i had decided that i would get healthy and loose weight over this last year. i am healthier now and i have lost 60 lbs. this next year is to keep up what i have been doing. I don’t really make new years resolutions. Thanks for hosting! My goal was to knit 12 sweaters this year, and I’m on number 15! I guess I should have non-crafty resolutions for 2013. I had a goal to start a blog and learn more about Blogging and I kept it. My resolution was not a very wise one, I was supposed to complete projects and not start any more until I did so. I will never try that again, there are too many new ideas I see and just have to get started on. I kept part of one and have recently starting working at it again after I stalled out mid-year… losing weight. Here’s to 2103! Thank you for your beautiful giveaway. I wish I had kept my couch to 5k goal, but I’ve recently restarted! My resolution was health related. I decided to strictly follow guidelines for controlling diabetes. I did and it worked! Lost 10 pounds and lowered my blood sugar readings. My goal this year is to up my giveaway to charity quilts. My resolution was to make time each day to get a little quilting done. It’s surprising how much can get accomplished in a week if you budget 30 minutes uninterrupted time to sew. It was to use a prayer book every day. I did better than I thought, but didn’t use it every day. I wish I kept the resolution to exercise more ….. think where I’d be now. I promised myself I would make time to learn how to make wonky art quilts and I did and I LOVE them. I love the process of putting together fabrics, sewing them into strips, and cutting them up – over and over – until I have pieces of a jigsaw puzzle that I love putting together! What joy! Thank you for your beautiful designs and fabrics – so inspirational! I already subscribe to your site. My resolution is to clean up/reorganize my quilting room. It needs to be less cluttered and the work surfaces cleared so I can come home from work and sew. I don’t typically make resolutions because I never keep them. But, I bought a gym pass in April and went several times a week until August. I would like to get back into that groove again! Well I tried to exercise and did so when we moved, even lost 7 lbs. but with quilting it’s back again. Too many cookies. This next year it will be something different. More reading! Oh, what lovely patterns! I found you through the Hop and am a new follower. Merry Christmas! I am so bad at keeping any sort of resolution, that I don’t make myself feel guilty any more and so just don’t make any. Changing the needle for each new project though – I could maybe do that! Thanks for the idea. My resolution was to lose all my baby weight from my second baby. Not only did I do it but I only have 4 more pounds to go until my pre-first-baby weight! Hello from Minnesota! That is the most exciting giveaway so far; I would love it! January will be the start of my second year of machine sewing so I’m resolving to wipe away my WIPs/UFOs before they get too far ahead of me. especially with color and thread painting and yes make smaller projects. I resolved to finish TWENTY-FIVE UFOs this year, taking part in a challenge…..and I did it. Now on to lots more new quilting projects….Thanks for the chance to win! I learned long ago not to make a resolution, just because I could never keep it up for longer than 2 wks…lol . Thanks for the giveaway. New follower. This year I finished many of my UFOs and joined a quilt swap group. Next year I hope to make the same resolutions. I didn’t really make any resolutions last year -I find I don’t keep them anyway. If I made one, it would be to eat healthier and get more exercise. I would love to finish more of my UFO’s I did a few but didn’t make a dent. I am a new follower Thanks for being part of the hop. I am a follower. One resolution was to put away everything when I finished a project, fabric, threads, tools and pattern. I lasted for a few months but then fell behind. I didn’t make any resolutions this year, so I kept all of them! I don’t make resolutions so end up having no failures. Instead, I pray and try to take it one day at a time. I hope to finish more quilts this next year. Great giveaway! I wish I had kept up my walking after I moved from Kansas to Oklahoma….otherwise I don’t do resolutions. I am a new follower. Merry Christmas! Alas, I made the typical resolution to lose some weight and didn’t stick to it. Wish I had! Fell short this year. I wanted to keep up on my BOM’s. Life got in the way, but they are on my list for the coming year. Thank you for the great giveaway. I am a follower via Google and e-mail. Last year I resolved to work on finishing old projects. I’m going to have to repeat the resolution as I didn’t complete all projects that I wanted to. I wish I had kept the one to stop making UFO’s. I kept my resolution to try something new. I have learned to sew. Merry Christmas Freida. My resolution was to get well and I think I did. I also got some quilting done along the way. I didn’t lose weight and I didn’t finish enough UFO’s. Hope to do better in 2013. Thank you. Ha! I can’t even remember what if any resolutions I made. I will eat healthier and attempt to make an art quilt! I am a follower and my new years resolution after seeing a picture of myself at Christmas was to loose weight. Started Weight Watchers on January 25th and at this point I am 20lb lighter! Woo HOO!! I wanted to finish some UFOs. I can’t remember which ones were already started last year, so I’m not sure how I did! I actually don’t do New Year’s resolutions because I never keep them! My resolution was to not start any new projects until I had finished some UFOs. But, then I took Frieda’s class and all I want to do now is Fuse, Fuse, Fuse! I don’t make resolutions since I don’t keep them but later in the month I committee to run for an elected office. Many. many times this year I wanted to quit and opt out of the process. I hate campaigning! But I stuck it out and actually won. My resolution this year is to take all the time necessary to be current and clear on the issues before the board I’m on. Thanks. I was supposed to catch up on my UFOs but that didnt happen. So I am going to try it again this coming year. I didn’t make any resolutions last january, but this january my resolution is to write 250 words a day… hopefully I can keep it! I don’t make New Year resolutions. That way I don’t feel guilty for not keeping them. My resolution was to grow out my fingernails so that you could at least see the white. I have done that but my nails just break. I know I will never have long fingernails but I did keep my goal. I am hoping that 2013 brings many more followers your way. Thank you for the chance to win all those goodies and making the Party so much fun. Happy Holidays. A couple years ago I made a New Year’s resolution not to make New Year’s resolutions, and I have kept it very well. I didn’t make any resolutions. But I wish I had lost weight and gotten organized. I probably made a resolution to lose 10 pounds. Did I lose any? Lost some, gained some. Thank you for hosting this giveaway! Frieda, I have so enjoyed following your blog; thank you for great inspirations. I kinda stopped making resolutions because I could never follow through with them. BUT…I did loose some weight this year and that was on my resolution list for years and years and years….! Does that count? I did not make any last New Years. I had just got out of the hospital and knew I was going to have a major surgery. I ended up having two this summer. this year my goal is to have more time to have fun. I do not make New Year’s resolutions, because I have NEVER been able to keep a single one! Happy holidays! I love your hand-dyed fabrics. Can’t wait to win! HA! I would love to make time to exercise regularly. I just don’t have it with two small kids and a “typically needy” husband. Maybe 2013 will be better. Very nice give-away but I don’t make resolutions. I was going to finish all of my UFO’s this year. Well that didn’t happen and I now have even more UFO’s because of all the new projects that I started!lol! I have been a follower for quite a while now. I set a goal to make 52 quilts in 52 weeks and I got it done. I had a fantastic year. now to sit down and make a new fantastic goal. Love your blog. And I am following now. IMy resolution was to make more time for me and do more things that make me happy. And I have succeeded in it. I may have gotten lazy . But My new resolution for next year is to finish my UFO’s and try to sew more and read less.Thank you for a chance to enter into yoru giveaway. I am a follower. I didn’t make any this past year, because I just can’t keep them! I didn’t make any resolutions last year. I rarely keep them, so I stopped making them. I didn’t make any resolutions, but this year, I resolve to NOT over-commit myself to other organizations and spend more quality time with my family at home. My resolution this year is to try all types of quilting designs and try to design some of my own. My resolution last year was to take care of my sick husband without losing my patience at some of his request . My resolution was to learn how to make a buttonhole, and I just learned yesterday! My goal this year was to finish my started quilt projects before starting more. I did fair with this goal. Wish I would have finished more but I do have to say I started fewer new projects and finishing the started projects. Thank you for being in this fun blog hop. Merry Christmas. I am a follower. I usually don’t make any resolutions because I have a hard time keeping them. But I do what to learn more about using my longarm in the next year and be able to quilt for friends. I didn’t have a resolution, but if I did, I probably wouldn’t have kept it. Wish I would have stayed on a diet, though! I hoped to get my sewing room clean and organized but I think it will have to be a carry over!!! Last year I was just happy to get through, so I made no resolutions! I like your needle one though, and I will make a blogging resolution this year too. Every year I want to be healthier and loose weight. Well for the last two years I have met that goal. I’ve just tried eating better and being more aware of what I’m putting in my mouth.